Stock investing can be intimidating due to the additional risk over traditional bank products. But you can balance some risk through diversification strategies. Mutual Funds invest across a broad array of securities so your investment risk is distributed.. Index funds, which include all (or at least the vast majority of) the stocks and bonds in a benchmark index such as the S&P 500 or NASDAQ 100, are a good place to start. In fact, the world's most well-known investor, Warren Buffett, has been encouraging them for years. He's so confident in them, he even bet $1 million they would outperform a representative sample of riskier hedge funds, and it looks like he's going to win. Whether you're looking for a steady growth with minimal risk, or are looking for a more aggressive long-term investment strategy, there's a mutual fund for you. And it's probably more simple than you realize. "Most people think mutual funds are designed for wealthy investors," says Mark Azizian, an Infinex Financial Advisor with Ridgewood Savings Bank, "That's simply not true-there are plenty of funds you can invest in that start at as little as $2,000, and are designed for people who can contribute approximately $50 per month. 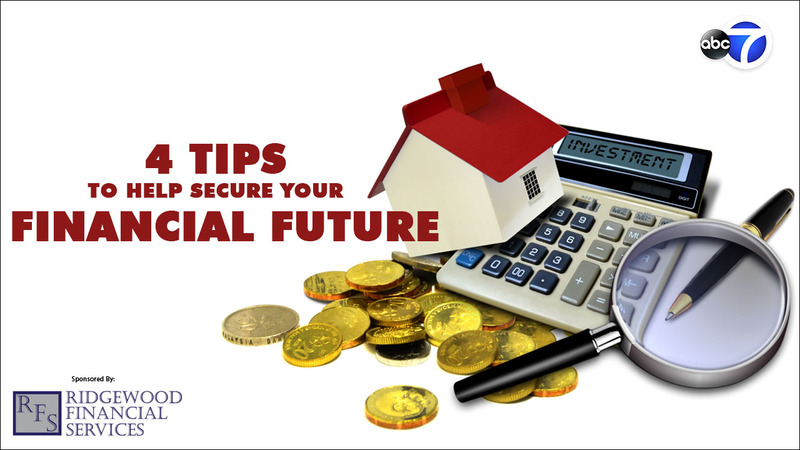 Even better, with mutual funds you can adjust your investment strategy at any time, or withdraw funds when you need them. " If your retirement savings strategy includes an IRA or 401(k), you might also consider investing in an annuity. Similar to other retirement vehicles, annuity earnings are tax-deferred, but one major advantage to annuities is that there are no contribution limits like there are with most other retirement plans. Like mutual funds, annuities come in many different shapes and sizes. If you won't need annuity payments for many years, a variable annuity with payouts that are tied to how their investments perform may be right for you. If you are approaching or in retirement, fixed annuities, which come with higher fees but offer guaranteed fixed payments, may be a good option. Deciding what type of annuity to choose, how much to contribute, and how aggressively to invest will depend on a number of factors. "We work closely with our clients to understand their financial picture, retirement goals, and tolerance for risk so we can recommend annuities that meet their needs," explains Mark Azizian, an Infinex Financial Advisor with Ridgewood Savings Bank. Whether you want to start saving for your children's future, have grandkids that will need help paying for college, or are thinking of going back to school yourself, a 529 plan is a great investment tool. Earnings on your contributions to these plans are tax-deferred, withdrawals used to pay for tuition and other qualified expenses are generally tax-free, and New York taxpayers are eligible for a state income tax deduction. Consult your tax advisor for further information. Get the guidance you need. The experts at Ridgewood Savings Bank will answer any questions you may have, walk you through your 529 plan options, and design a personalized strategy that is right for you. You never know when the unthinkable will happen-but if you've got loved ones counting on you, then life insurance should be part of your financial strategy. Depending on your age, income, and other factors such as the number and ages of any dependents, your financial advisor can recommend a variety of affordable plans that include both whole and term life insurance. Visit www.ridgewoodbank.com or call (888) 373-9840 to learn more about our financial services and connect with a financial advisor. Investment and insurance products and services are offered through INFINEX INVESTMENTS, INC. Member FINRA/SIPC. Ridgewood Financial Services Corporation is a subsidiary of Ridgewood Savings Bank. Infinex and the bank are not affiliated. PRODUCTS AND SERVICES MADE AVAILABLE THROUGH INFINEX ARE NOT INSURED BY THE FDIC OR ANY OTHER AGENCY OF THE UNITED STATES AND ARE NOT DEPOSITS OR OBLIGATIONS OF NOR GUARANTEED OR INSURED BY ANY BANK OR BANK AFFILIATE. THESE PRODUCTS ARE SUBJECT TO INVESTMENT RISK, INCLUDING THE POSSIBLE LOSS OF VALUE.